In case you hadn’t noticed it is very hot at the moment and is set to persist for the next few days if not weeks. 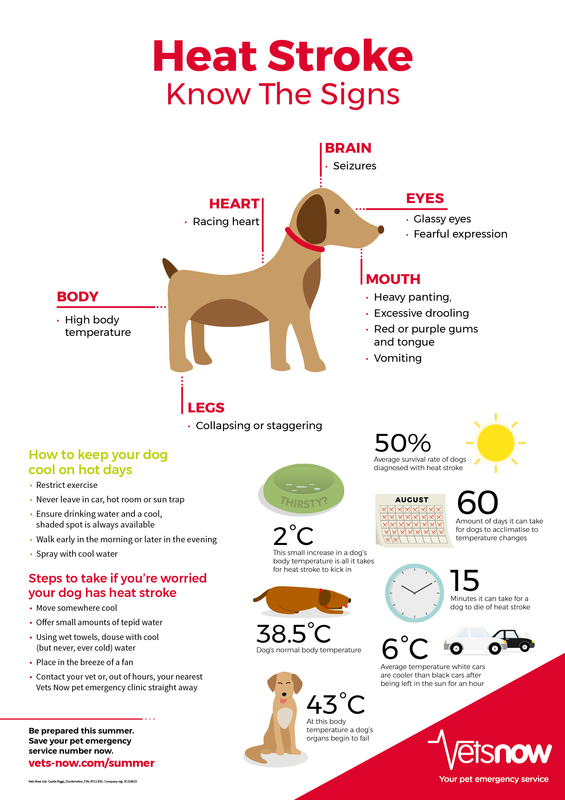 We have been seeing across social media all sorts of dangers your dogs can face in this hot weather, we have detailed some here. It does not matter if your dog is white, young, not a bull breed or ‘used to the heat’, please be mindful of its needs. Our dogs here at Animal Aunts HQ do like to pop out for a sunbathe now and then but we are aware some of them can be a bit dim and don’t come in when they get too hot, so they need reminding. If dogs are too hot and are unable to reduce their body temperature, they will develop heatstroke which can kill. Dogs can’t perspire, as humans do, so they have to pant to cool themselves. If the air that they are taking in is too hot (as it is in a parked car in hot weather), then panting has little cooling effect and the dog quickly overheats. 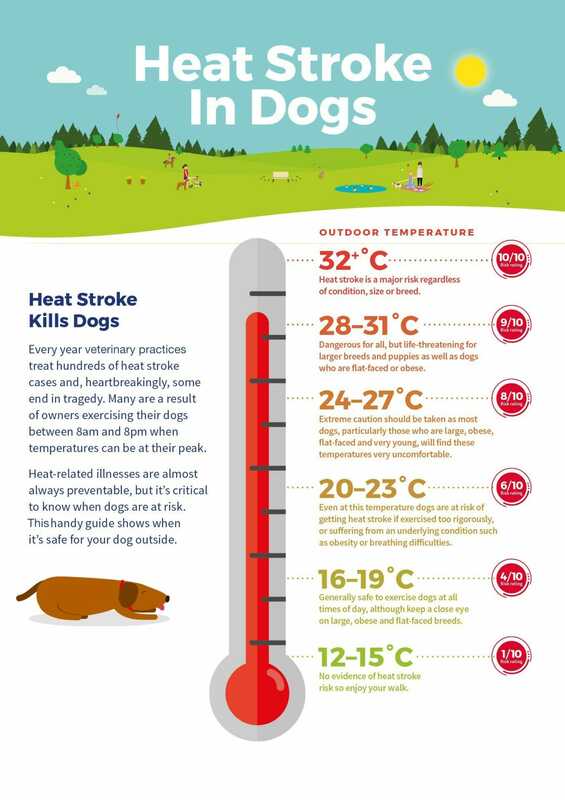 If a dog is displaying signs of heatstroke, they need to have their temperature lowered gradually, urgently move them to a cool, shaded area and call a vet immediately. Remember it’s not only hot cars but conservatories can kill as well. Here we have Vet Dr Rory Cowlam from Parkvets Veterinary Hospital in Sidcup to demonstrate how quickly the temperature can become unbearable and often fatal to a dog. Here is some advice from the RSPCA on how to help if you see a dog in a hot car. Dogs’ paws can be just as sensitive as humans’ feet. That means they’re equally as likely to get burnt walking on a hot surface as their owner would be. If you cannot place the back of your hand on the surface of the pavement or road for a full seven seconds, then its too hot for your dog to walk on. The reason pavements get so hot is they soak up heat all day and then retain that heat. If you bear in mind, when reading the following temperatures, that an egg can fry in five minutes at 55C while skin destruction can occur in just one minute at 52C. If the outside temperature is a pleasant 25C, there’s little wind and humidity is low, asphalt/tarmac can reach a staggering 52C. This can rise to 62C when the mercury hits 31C. Studies have shown that some surfaces retain heat far more than others. In one experiment, the temperature of six different surfaces was taken at two points in the day on two separate summer’s days. The results showed that artificial grass came out hottest in all four trials, followed by the material that’s used to make running tracks and then asphalt. Asphalt is the most widely used material in roads and pavements throughout the UK while artificial grass is increasingly being used to replace natural grass in parks and gardens. All three surfaces measured upwards of 50C at 2pm on both days. 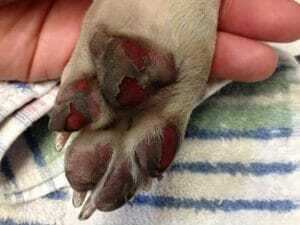 This temperature could severely burn a dog’s paws within a matter of minutes. Brick and concrete came next in the surface temperature league table followed by natural grass. As natural grass was the coolest of the six it suggests that if owners choose to walk their dogs on a hot summer’s day try to stick to natural grassy areas. Water intoxication happens when a dog consumes excess water usually by dogs who love swimming or playing with water (e.g. with garden sprinkle or hose). Most dog owners tend to worry that their animal companions don’t get enough water. But have you ever stopped to consider that your pooch may be getting too much of it? This is only something to worry about in specific cases: if your pup likes to play in water or spends a lot of time swimming, but it can happen to any dog. Symptoms do vary but if you’re worried that your dog may have water intoxication and isn’t acting quite right – trust your instinct. Below is an info-graphic with all information condensed in one place. Thank you to TopDogTips.com for the use of this graphic. 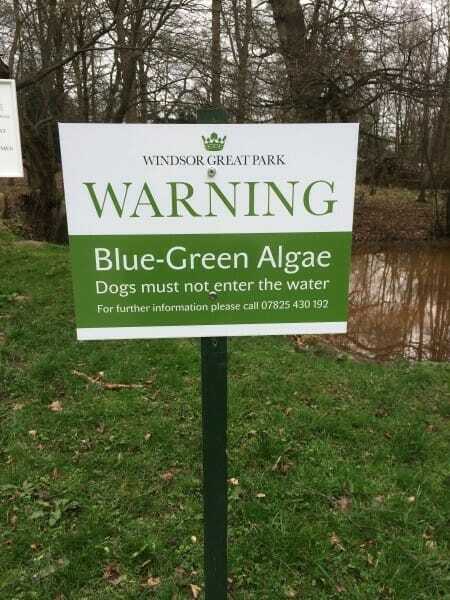 Blue-green algae is currently a major health risk as high summer temperatures encourage growth of the toxic plant. What does blue-green algae look like and is it dangerous? Blue-green algae is a term used to describe a group of bacteria, called cyanobacteria. They are not actually algae, but the organisms got this name because they often give the appearance of algae when they clump together in bodies of water. It is most common in non-flowing fresh water such as lakes and ponds during hot weather when there is less rainfall but can also occur at other times of the year and has been known to occur on rivers under certain circumstances. 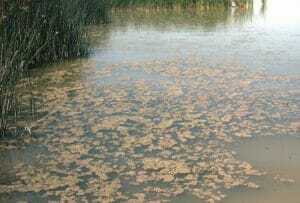 You may notice dead fish in ponds or lakes with a high concentration of the toxic bacteria. Don’t let your dog drink from water containing dead animals. 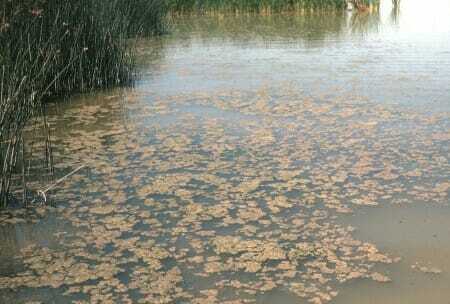 The algae may be present in a harmful form even if you cannot see it, so take note of any warning signs in the area. Some types of blue-green algae can kill a dog just 15 minutes to an hour after drinking contaminated water. Sadly, blue-green algae poisoning often causes fatal liver failure. These symptoms are commonly seen with other illnesses too, which can be less serious but you should always call your vet if you are worried your pet is sick. Please be careful out there and don’t have nightmares.